ABC7NY Giants analysis: Big Blue or Bust? NEW YORK (WABC) -- NFL training camp is finally underway, and it's time to dream towards January. But is there a Super Bowl in the Giants future? Well, that's the goal. But it's way down the line, so instead, let's take a look how this team stacks up. There is plenty to be optimistic about. Offensively, they should return to a big play, wide-open passing team. 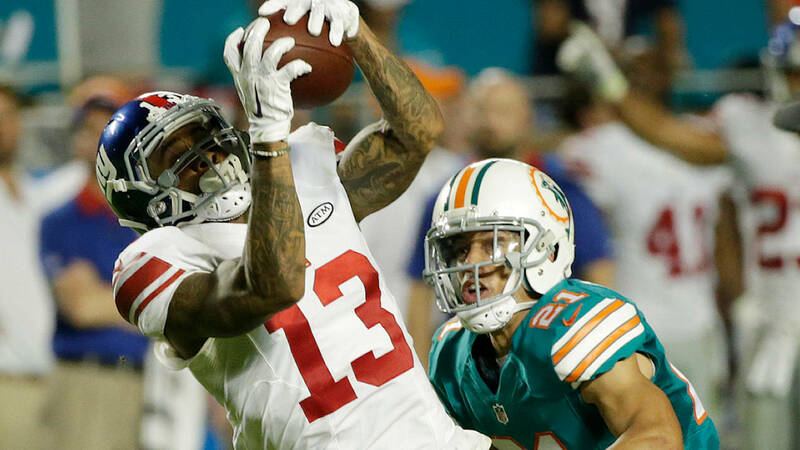 Brandon Marshall and first-round draft pick Evan Engram join Odell Beckham Jr. and Sterling Sheppard to give Eli Manning a deep and talented group of receivers. Beckham Jr. should be motivated after publicly demanding to be the highest paid player in the NFL, but the offense will go only as far as their line takes them. The Giants have not added any big name players to fortify that shaky unit, and they are hoping that Ereck Flowers will finally live up to his first-round draft status. They need Justin Pugh and Weston Richburg to anchor the unit to keep Eli healthy and open some running lanes, and speaking of running, the Giants will give the ball to Paul Perkins as their number one back. He's unproven but has shown some good signs, and Shane Vereen, who's coming off of injury, could be a key man in the running game. He has speed and is versatile, and the line and running game need to have some effectiveness to balance the offense. The team will also go only as far as their defense takes them, and that's a good thing because this unit has the potential to be one of the best in the NFL. Jason Pierre-Paul and Olivier Vernon need to bring the pass rush, but "Snacks" Harrison needs to a dominant run stopper. Overall, a deep and talented group of defensive backs makes this unit top 5 in the league. Perhaps the biggest factor this team has to overcome is injury, as they must keep Eli protected and on the field. If the Giants can remain healthy and play up to their ability, they have to be in the conversation for the postseason. Are they a Super Bowl contender? A lot has to go right, but why not? They are undefeated as of now.